The Hyundai Santa Fe’s five-year warranty means the popular SUV gets the same coverage as the brand’s other cars. The one question that so many owners forget to ask themselves when purchasing a new car is what happens next? And that is actually the most important thing for you to know when making your purchasing decision. Because as the new-car smell fades, the general excitement of owning a new car fades right along with it, and it becomes that manufacturer's ownership policy that then determines how happy you'll be with your new car. How long are you covered for if something should go wrong? Are you going to be left out of pocket if you discover rust or if you're battery goes flat? And what if you decide to start driving for Uber, are you still covered then? 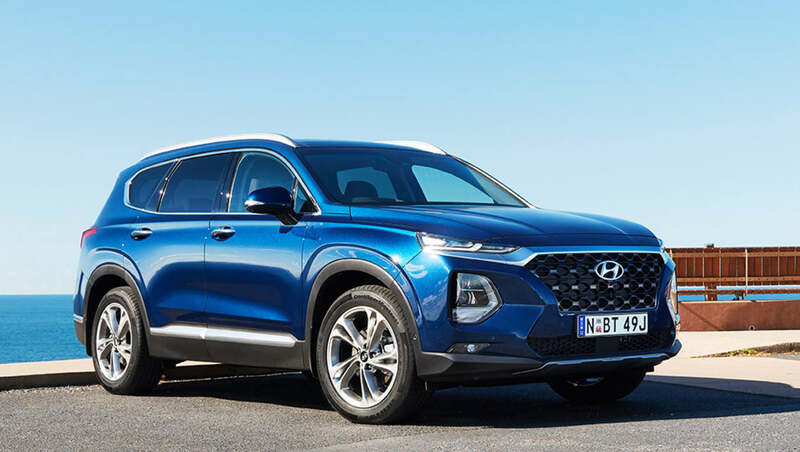 So to make that buying decision just a little bit easier, we’re going to be looking at those exact things for you, starting with the Hyundai Santa Fe. The Hyundai Santa Fe’s five-year warranty means the popular SUV gets the same coverage as the brand’s other cars, as part of Hyundai’s warranty Australia program. Unlike stablemate Kia, which offers a seven-year term, Hyundai’s new-car warranty spans just 60 months, but they were the first manufacturer in Australia to introduce five full years of coverage, and the program allows for unlimited kilometres - with one small catch. The standard warranty covers “defects arising in materials or manufacture for all vehicles, other than vehicles used at any time during the warranty period for commercial applications”, so if you’re eyeing a career as an Uber driver, remember that it can throw your coverage into question. In fact, commercial use reduces the distance covered, too, dropping from unlimited kilometres to 130,000kms, though the minimum warranty period in Australia remains five years. It means that, provided your vehicle is used privately, a car you purchased in January 2016 is covered in 2017, 2018, 2019, 2020 and the first month of 2021, too. Hyundai also offers a warranty transfer program, so you can sell you car with the remainder of the warranty included, and while there is no standard manufacturer extended warranty, individual dealers might have their own aftermarket warranty programs in place. Unlike some manufacturers, Hyundai doesn’t guarantee a replacement vehicle while your car is being serviced (though some dealerships will have their own in-house offers), but the warranty coverage is comprehensive, covering faults, new parts and the workmanship on repairs, too. Rust is covered, under the brand’s anti-perforation/corrosion coverage, for 60 months, while the vehicle’s battery is covered for 24 months or 40/000kms (but the one in the key fob is covered for six months). Ensure that all services are carried out as per the scheduled maintenance and service requirements, and the service history coupons stamped by an authorised repairer. Keep detailed service invoices for review whenever requested. Present the vehicle Service Passport to the authorised Hyundai Dealer whenever requesting warranty service. Deliver the vehicle to an authorised Hyundai dealer for all warranty repairs. Hyundai also points out that tyres are not covered by its warranty, and that non-genuine accessories are ruled out, too. Have you had to make a warranty claim with Hyundai? Tell us about your experience below.